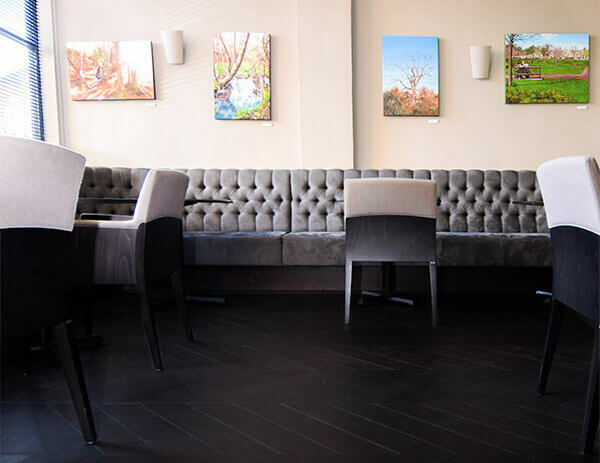 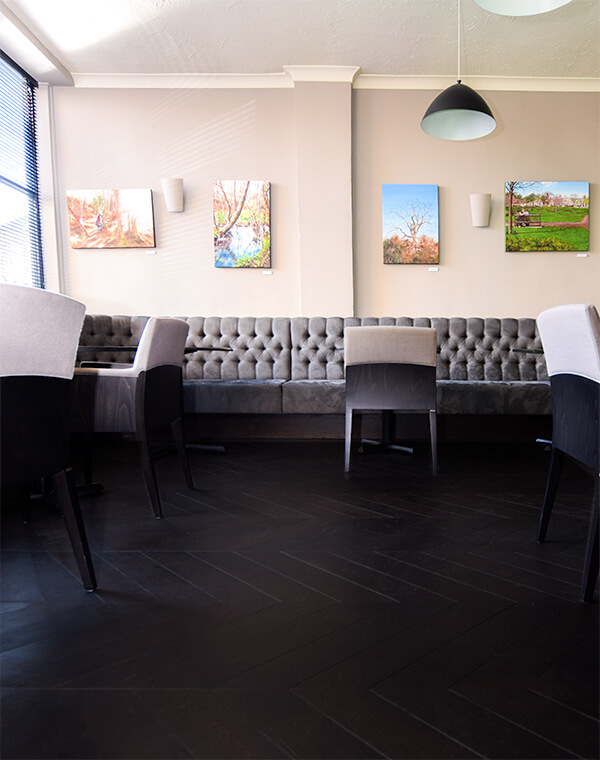 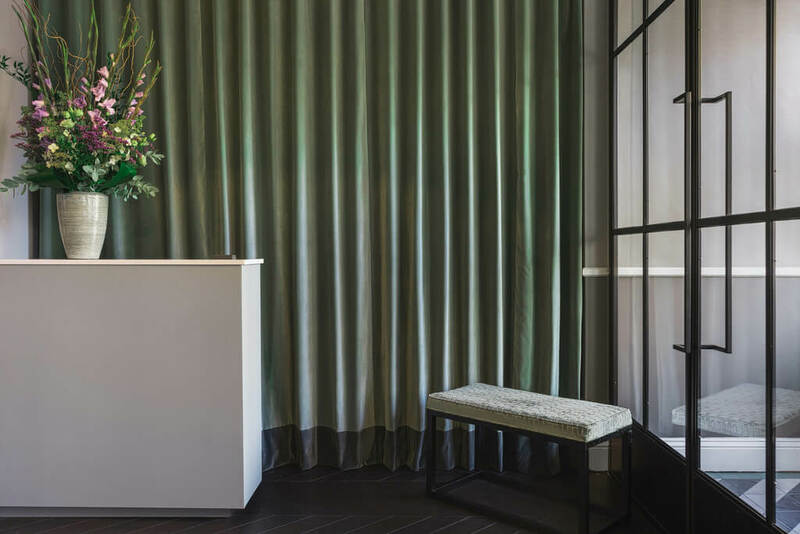 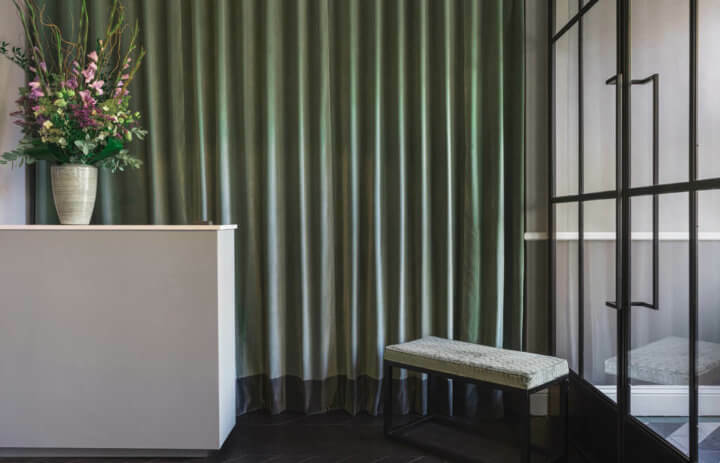 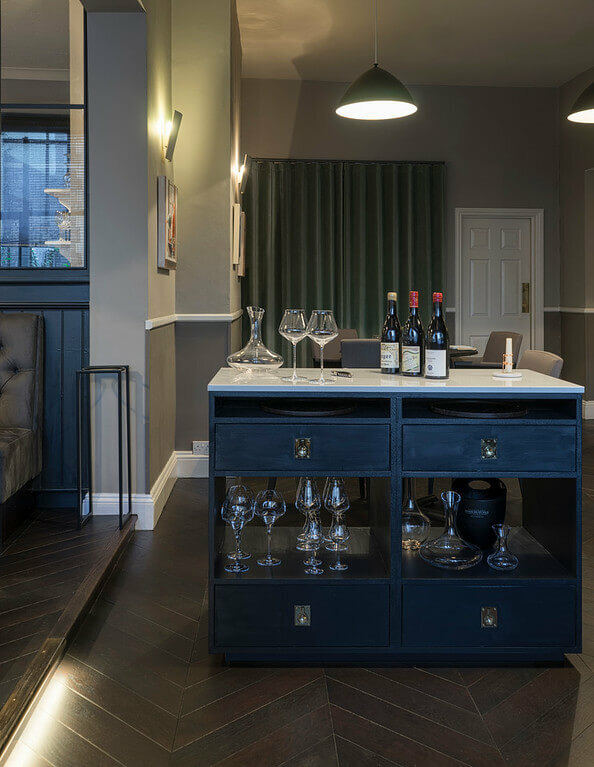 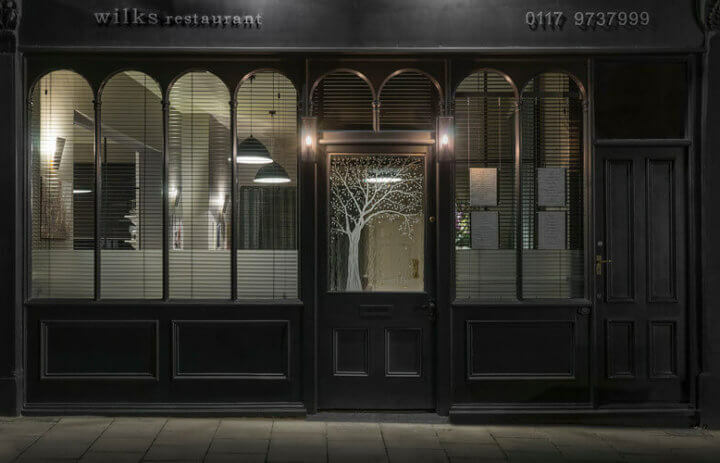 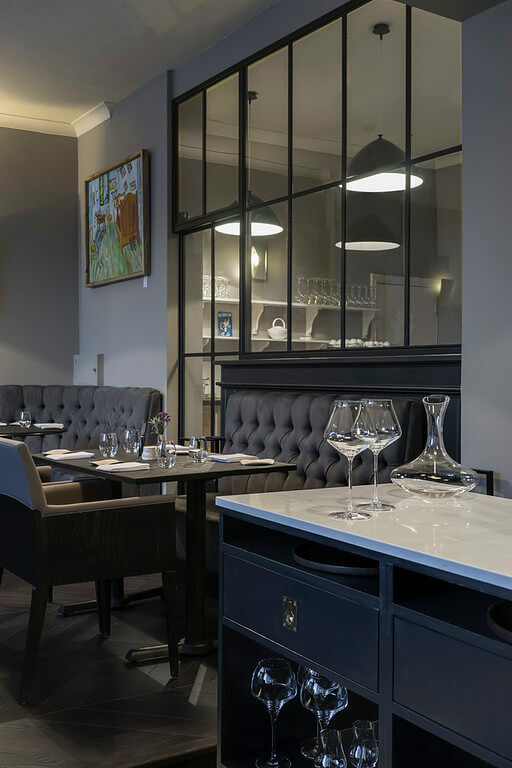 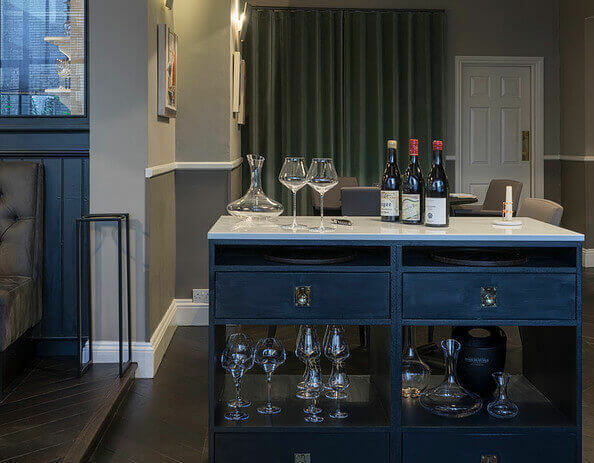 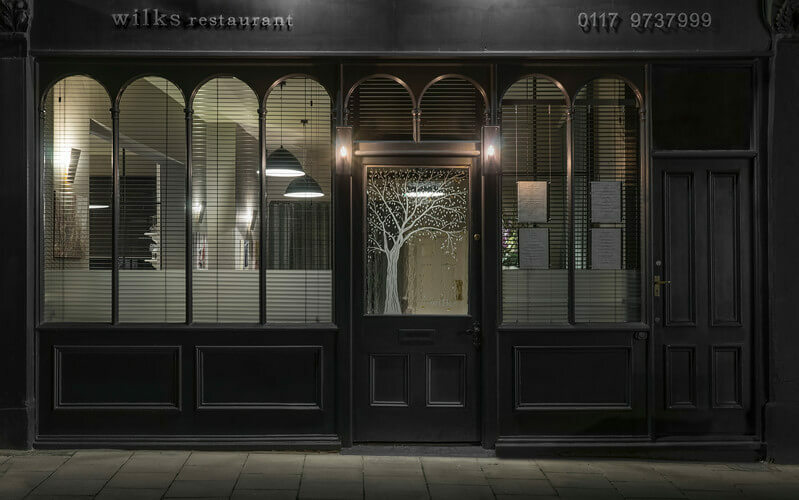 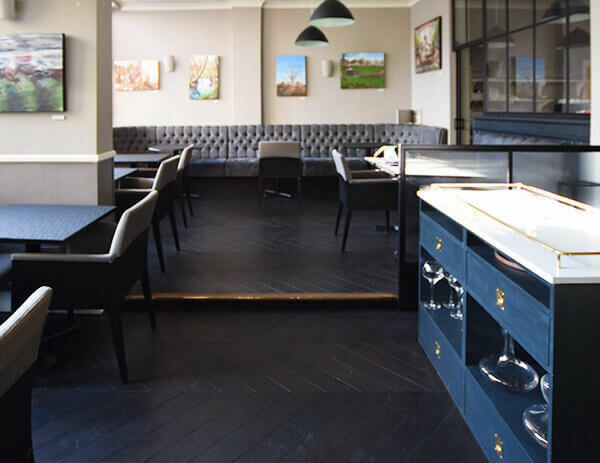 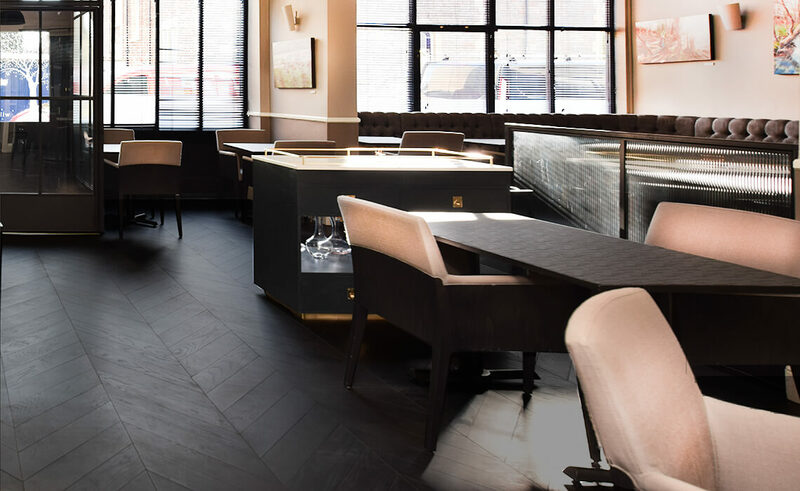 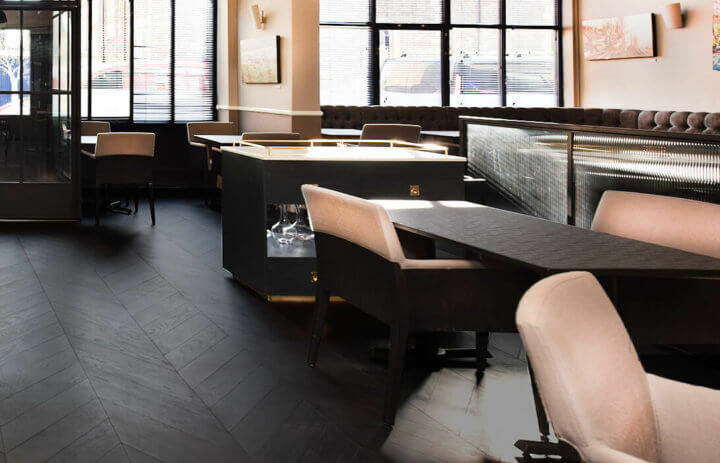 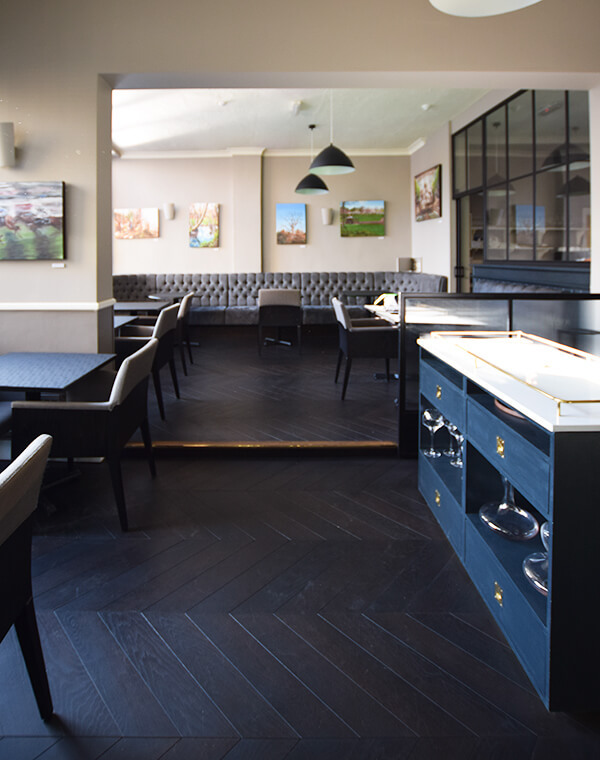 Wilks Restaurant are self described as a “modern, vibrant restaurant offering creative, accomplished cooking, attentive, knowledgeable service from friendly staff and a relaxed, informal dining room”. 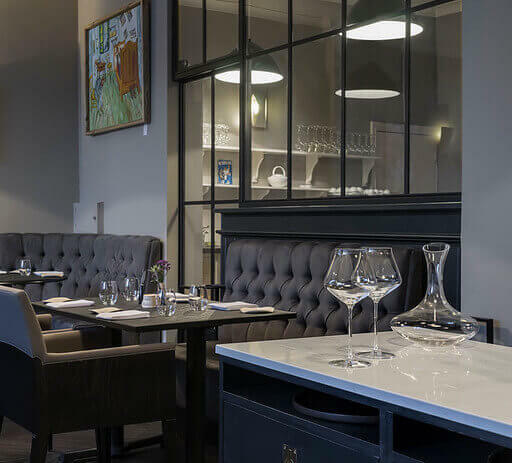 They have a heavy focus on “local” in all aspects of their business; farmers, growers, suppliers, even local artists who show their work in our restaurant. 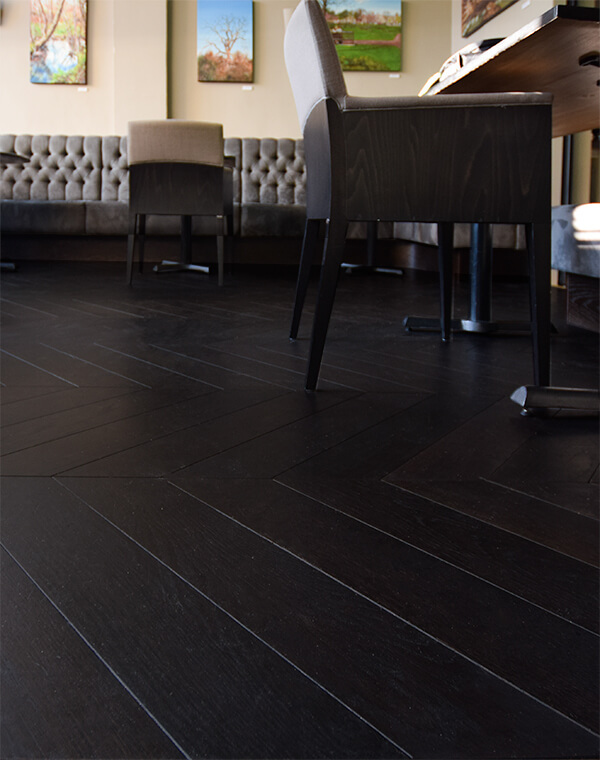 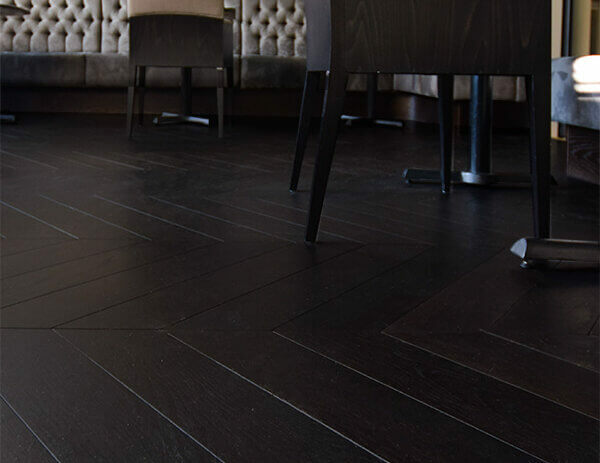 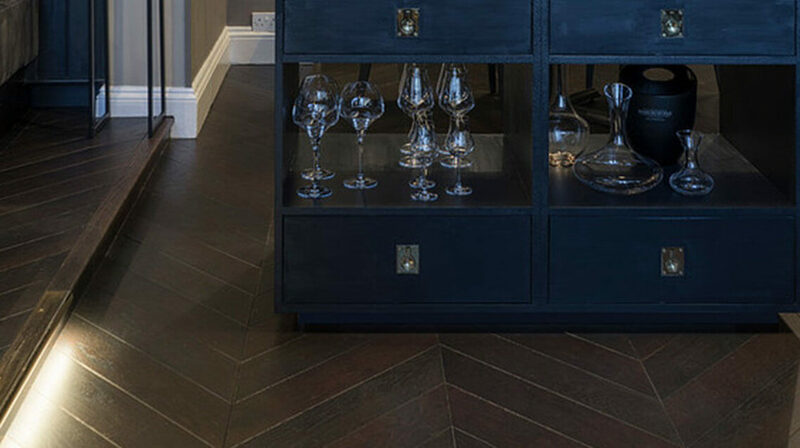 Wilks chose our Tectonic® Oak Chevron in a Prime Grade beautifully finished in our Midnight Brown finish.